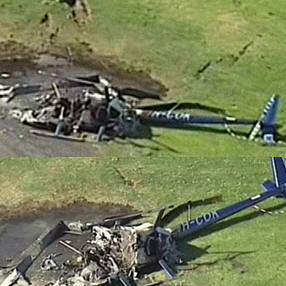 February 6, 2012 - Two world-renowned filmmakers were killed in a helicopter crash in Australia on Saturday. Mike deGruy, a biologist and conservationist, and Andrew Wight, a pilot and underwater cave diver, were in Australia working with James Cameron and National Geographic on a documentary film. James Cameron and National Geographic released this statement: "The deep-sea community lost two of its finest yesterday when a helicopter carrying Andrew Wight and Mike deGruy crashed shortly after takeoff. Wight was the owner and pilot of the Robinson R-44 helicopter. 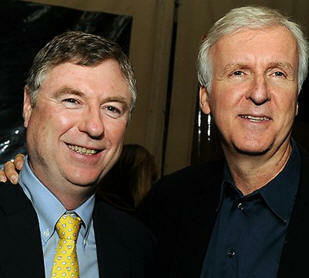 Both men were world-renowned documentary filmmakers specializing in ocean exploration and conservation. Reacting to the deaths of his colleagues , Cameron said, "Mike and Andrew were like family to me. They were my deep-sea brothers, and both were true explorers who did extraordinary things and went places no human being has been. They died doing exactly what they loved most, heading out to sea on a new and personally challenging expedition, having fun in the way they defined it for themselves, which was hardship and toil to achieve something never done before. They were passionate storytellers who lived by the explorer's code of humor, empathy, optimism, and courage. Their deaths are a tremendous loss for the world of underwater exploration, conservation, and filmmaking."